Presentation & discussion on The In-Between Church by Alice Mann on Tuesday, October 18 at 6pm. Church size affects not only the church’s budget but the role of the pastor and the expectations of its members. 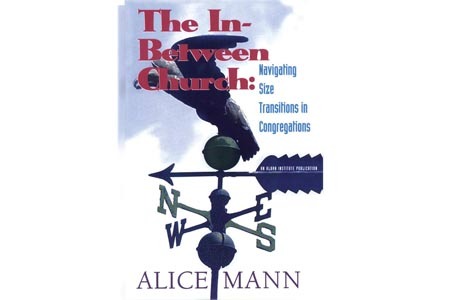 In her book, The In-Between Church, Alice Mann navigates how different church sizes control the pastoral role and lay participation, and addresses how transition from one church size model to the next, can and will influence the daily life in a congregation. On Tuesday, October 18 at 6pm, Halldor Gudmundsson, our director of Christian Education, will give a presentation about the book and its findings and invite participants to discuss how the church size models affect Pilgrim Church.